From the 19th century into the 20th century there were 18 school buildings in Norway. There were five in the village, and 13 district schools throughout the rural neighborhoods. While only one of the buildings still serves as a school, a surprising number are still standing. The first school in Norway was in 1790, held at the residence of Peter Everett of North Norway. 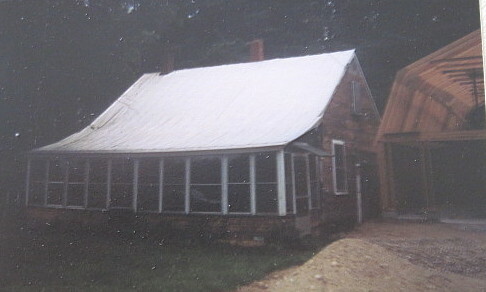 The first schoolhouse was built in 1794, on a now long-abandoned road that ran between Country Club Road and the Lake Road, somewhere near Pennesseewassee Park. Early dates and details are not always available due to a fire at the town clerk’s home in 1843 that completely destroyed Norway’s early records. 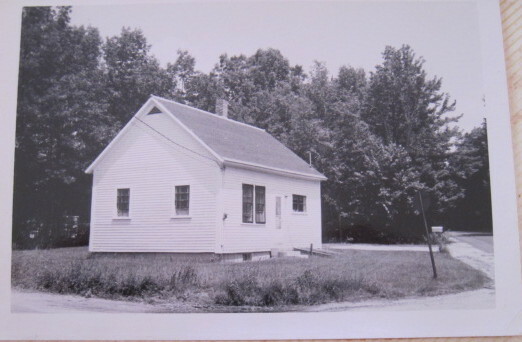 The first school was built in 1806 on the Shedd Road near McIntire Road. It burned in January 1819 and was rebuilt in the summer. 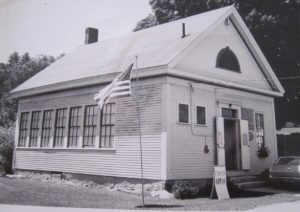 The town’s school reports of 1866 and 1867 noted the building suffered from “poor conditions” and was “worn out, unfit for use.” The school closed about 1894 and the seats were moved to the Holt School down the road. After closing, the building was used as a dwelling until it burned in the 1950s. 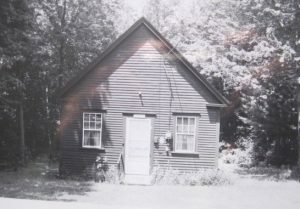 The first schoolhouse was built in 1807, near the intersection of Morse and Patch Mt. Roads. This building was taken down in 1833 and a new school built a little further up Patch Mt. Road. 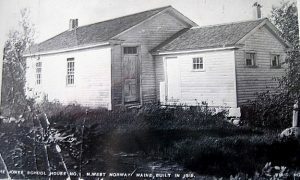 A “North Norway Free High School” was held at Swift’s Corner intermittently between 1878 and 1881. A fire destroyed the school in 1919, but it was rebuilt in 1920. 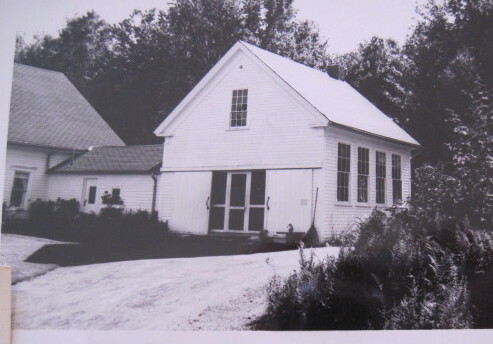 The school was closed in 1959 and in the early 1960s, was moved further north on the Patch Mt. Road, being remodeled into a residence. 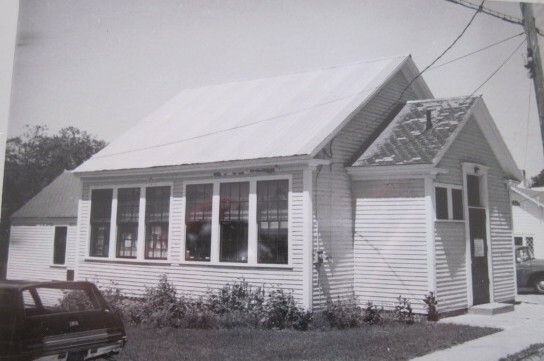 School began at Norway Center in 1804, but the exact year a schoolhouse was built is not known. Repairs were noted over the years, but there is no report of destruction by fire, or building a new structure. It is possible this is the oldest remaining building in Norway that served as a school. The school closed in 1926 when the number of students declined to seven. It has been remodeled into a residence and remains at the same location on Norway Center Road. The former Yagger School is behind the two-story addition. In June 1821, land was conveyed to School District No. 4. This could be the date the Yagger school was built, between the Hemmingway and Town Farm Roads. 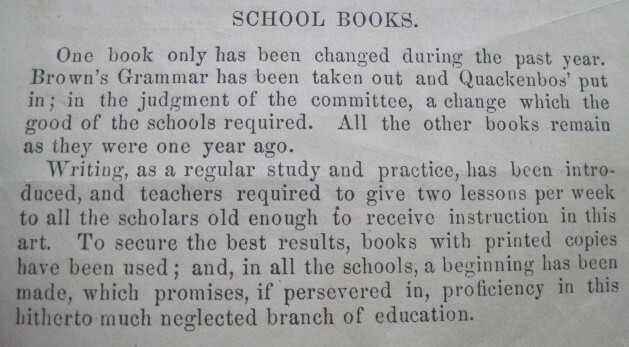 Classes were suspended from 1915 to 1920, due to lack of pupils and it was closed permanently in 1938. An addition was made to the building and it now serves as a residence. 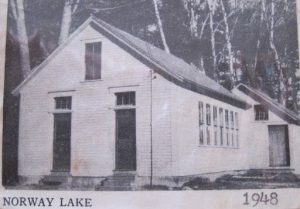 As stated above, the first school serving the Norway Lake neighborhood was built in 1794 on a road that has disappeared. The school was destroyed by fire in 1816 and was rebuilt in 1817. An 1858 map shows the school at this old location. 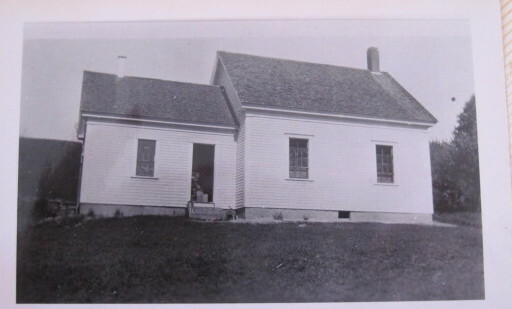 The school report of 1868 stated a new schoolhouse for District 5 had been built “on a beautiful site.” This is the present school building on the Lake Road. 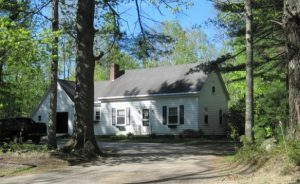 It closed in 1967, at the same time the three village one-room schoolhouses were closed. The attractive building remains. 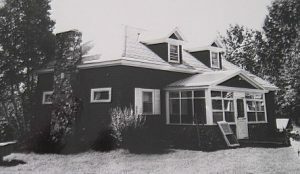 Former Pike’s Hill School as a residence in 1991. The school building is now gone, but the adjacent garage is still standing. 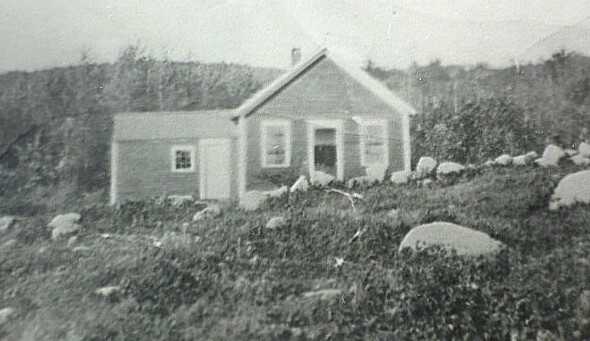 The first school was erected in 1800. A new building was built in 1856 (“a good commodious schoolhouse”) and remained in use until 1914. 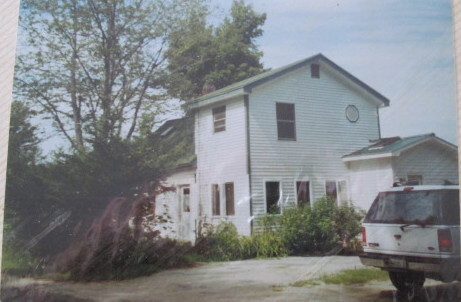 Located between Parsons and Old Stage Roads, it was converted to a residence, which has since been torn down. Sylvanus Cobb (1798-1866), a well-known Universalist minister, attended school at Pike’s Hill from 1804 to 1817. 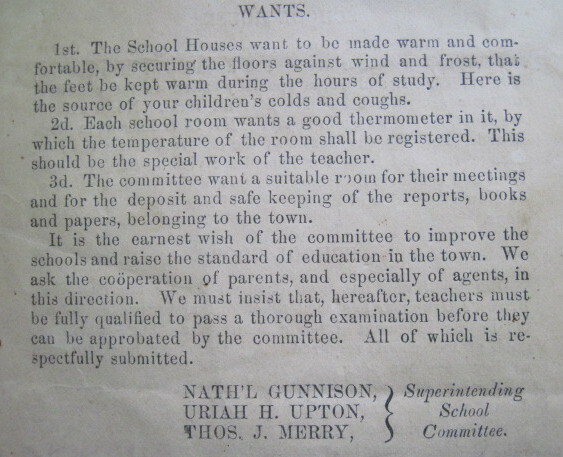 Summary of an 1807 meeting of the citizens of District 6 (referred to here as the “South east district”), and the school business that was discussed. 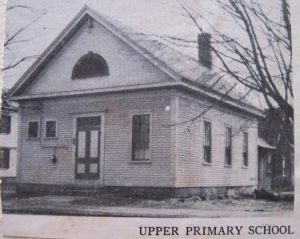 Upper Primary – The first school in the village was built near the head of Main Street in 1805. It burned in 1866 and was replaced with the present building the same year. Sylvanus Cobb taught 80 scholars (more advanced students) at the Upper Primary from December 1820 to March 1821 for $3.00 a week. He noted that the school was cold and rickety. After the school closed in 1967, it was purchased by the Western Maine Art Group and now serves as the Lajos Matolcsy Art Center. 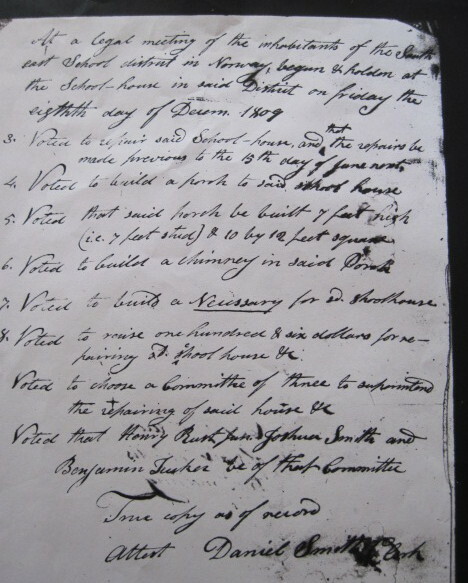 Lower Primary – Records disclose that land near Steep Falls was conveyed to the town in 1837, to be used for a school. 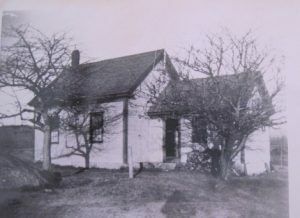 A school was built in 1845, but it is not clear if this is the first building, or a replacement for an earlier structure. It closed in 1967. The building still stands, near the corner of Main and Fair Streets. It is the only building that still serves as a school and now serves as the Streaked Mountain Alternative High School. 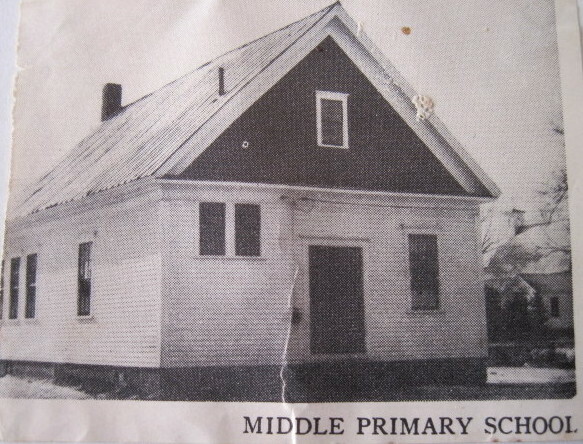 Middle Primary – Located on Tucker Street, the Middle Primary was built in 1908 at a cost of $1,800. Like the other village primary schools, it was closed in 1967. It was used for a time by other enterprises, eventually becoming the property of the Catholic Church. The building was torn down in 1985 and the property is now a parking lot for the church. High School – The Norway Liberal Institute, a private secondary school, began classes in 1847, in a building at the corner of Main and Paris Streets. A classroom building was built nearby and was dedicated in October 1848. The switch from a private to a public school occurred in 1865, when the town purchased the Institute and it became the publicly supported Norway High School. The 1848 building was lost in the Great Fire of 1894 and a similar-looking replacement was built the same year. 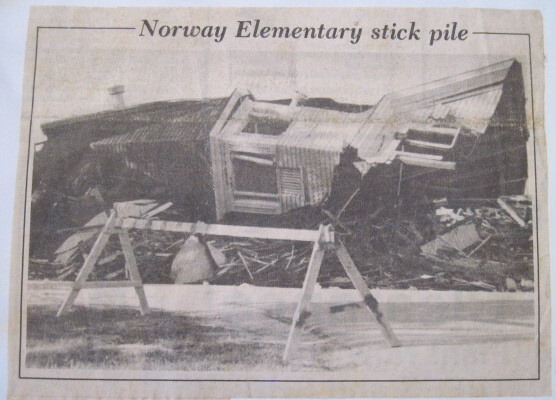 A new high school building was built next door in 1929, so the wooden structure became the Norway Elementary School. 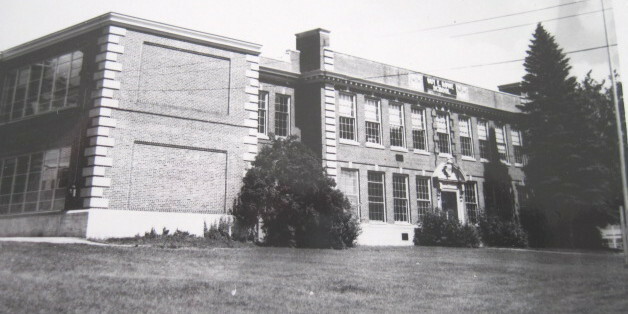 When the Oxford Hills School District was formed and the Norway High School closed in 1961, the 1929 building became the Guy E. Rowe School, part of the elementary school complex. 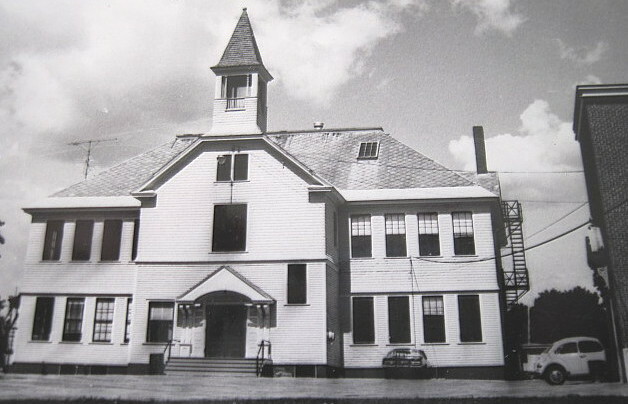 The 1894 wooden structure was demolished in 1984 and a large addition to the Rowe School was built in its place. The 1929 building remains as part of the Rowe School. Former Crockett Ridge School, 1972 photo. 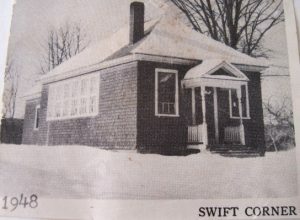 The first school in this district was built in 1807, approximately where Cove-To-Cove Lane is today. In 1844, land was conveyed to District 8 and this may be where the former schoolhouse stands today, at the corner of Crockett Ridge Road and Pleasant Street. An 1858 map of Norway shows a school at this location, but it is not known if a school building was moved to this site, or a new building erected here. School reports show many repairs to the building. Vandals damaged it so badly in 1859 that classes had to be held in a private home for several weeks. The school was closed in 1943 and the building is now a residence. The date the Frost Hill School was built is not known, but it was one of the 14 districts in 1843. The building is located on what is now the Daniels Road, which at one time was a continuation of the Frost Hill Road. The school report of 1858 indicated the school was in need of repair, so the building must have been in place for some time. The school was closed in 1937, with nine pupils attending. It then became a residence until at least the 1980s, and is now a summer residence. Teacher Philip Stone and students, early 1900s. 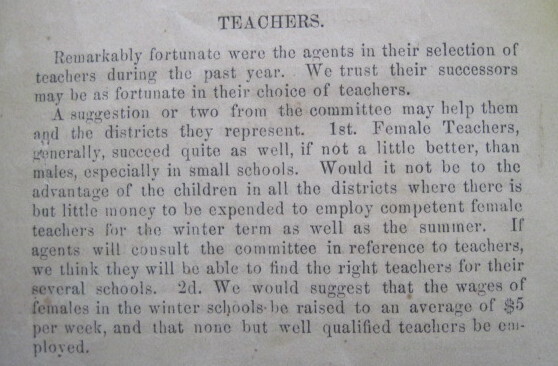 The date this school was established is unknown, but it probably was one of the ten districts in existence in 1825. An 1858 map of Norway shows the school on the west side of Crockett Ridge Road, just north of where the Korhonen Road is today. 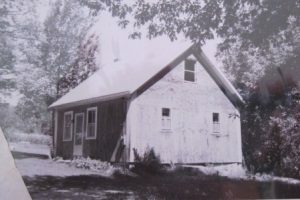 The 1859 school report noted “This is one of the smallest schools in town…a new schoolhouse is much needed in this district.” The building burned in 1912 and a new school was erected nearby in 1913. It was temporarily closed in 1928 and then closed for good in 1936. 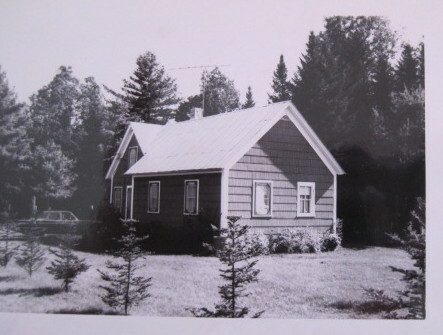 Sometime after 1936, the town sold the building and it became a summer residence. 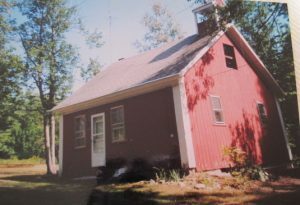 The schoolhouse was still standing in 2002, but was lost to a fire in the early 2000s. Land was conveyed to School District 11 in 1830, but the date a school was established is not known. It was one of the 14 districts in 1843. The original school building was moved and became part of a residence in 1852. This building collapsed in the 1930s. A new school was built in 1852 and tax records show the tax for the new building was $206.70. Noted Norway author C.A. Stephens attended school in the old building, and later taught in the new school. The school was closed in 1921 and converted to a residence. It still stands on Round the Pond Road, near the intersection with Upton Brothers Road. 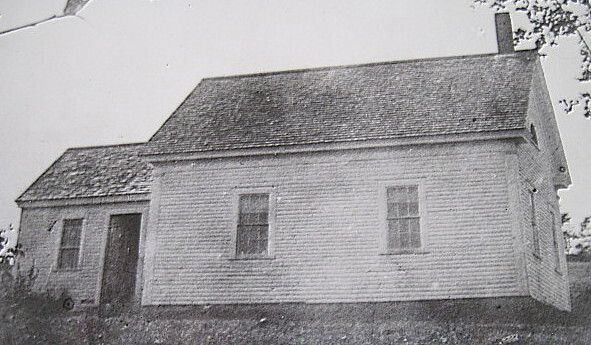 The first schoolhouse was built in 1838, on the northwest corner of Morse and Dunn Roads. A new building was erected at the same location in 1878. Around 1912, classes alternated between the Chapel and Pierce Schools because of low attendance. The Chapel School closed in 1952 and was moved a short distance up the Dunn Road. 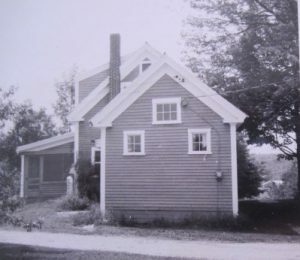 It was attached to an existing residence, where it remains today. The date the first Sodom School was built is not known, but it is listed among Norway’s district schools in 1843. 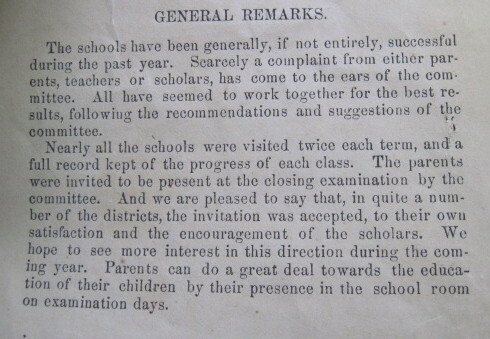 A report in 1857 noted it was “A poor apology for a schoolhouse. A better house is hoped for.” The school burned in 1859 and a new one built in 1861, located on the Sodom Road, just west of Ricker Road. The school closed in 1920, with nine pupils attending. The building sat unused until it was purchased in 1940. It was abandoned about 1945, and in the winter of 1952, severe storms weakened the roof. In 1952, the building was dismantled. The 1857 school report mentions the Pierce School for the first time. It was located on the Dunn Road, before the intersection with the Shedd Road. A new building was built in 1886. 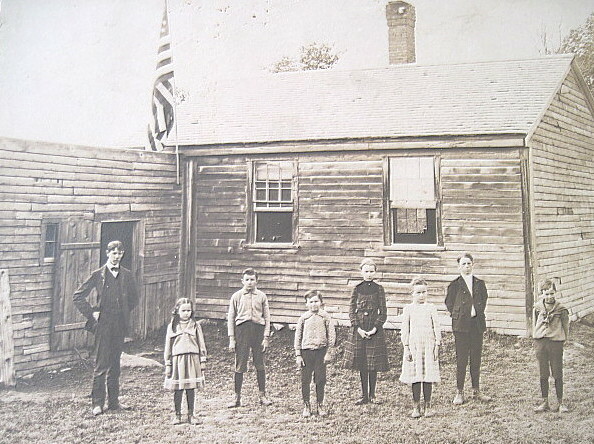 The school closed in 1922, with only six students. The structure was then moved quite a distance from northwest Norway to the west side of lower Crockett Ridge Road. It was remodeled into a residence, where it remains. 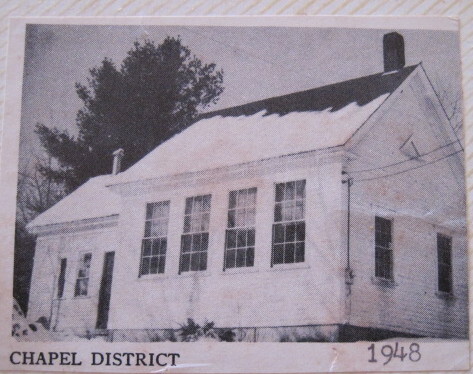 School began in the Holt District in 1857. It is noted that the building appears on an 1880 map, but not on an 1858 map. The 1869 school report notes “schoolhouse is no longer fit for school purposes.” The school was closed in 1923, but the building, now a residence, still stands on the Shedd Road, a short distance from the Waterford Road. Much of the content of this article was researched for the historical society by Richard G. Durnin in the 1970s and 1980s.